The Massachusetts Registry of Motor Vehicles has many forms available online, though some (as indicated) are only available in person. Below, you'll find many useful forms conveniently available for download. Outside the state of Massachusetts. Calling from area codes 339, 617, 781, or 857. (800) 858-3926 if you're calling from any other MA area code. Looking for manuals? Jump over to our MA motorcycle manuals and driver handbooks pages. Submit this form to the MA Registry of Motor Vehicles to request a transfer of vehicle ownership to a surviving spouse. Application for a salvage vehicle inspection, which is required before registering salvaged cars with the Registry of Motor Vehicles. Must be completed by an approved Massachusetts inspection station. Use this form to request a refund/rebate on registration fees if you canceled your vehicle's registration within the time limits set by the MA RMV. Form used to verify you're exempt from paying Massachusetts sale and use tax on a car you received from a family member. Complete this form to verify you're exempt from paying MA sales and use tax on a vehicle you received as a gift. MA Registry of Motor Vehicles' application to take a CDL road skills test. Form required by the RMV to self-certify as an excepted OR non-excepted interstate OR intrastate commercial driver in Massachusetts. Apply for a Massachusetts disabled parking placard OR license plate. 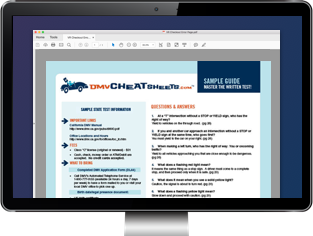 Looking for RMV Forms in another state?